The “Archives of Medicine” (2000) “reported on the treatment of five patients confined to wheelchairs with weakness and fatigue. Blood tests revealed that all suffered vitamin D deficiency. The patients received 50,000 IU Vitamin D per week and all became mobile within six weeks.” Considering that vitamin “D deficiency has been mistaken for fibromyalgia, chronic fatigue or peripheral neuropathy” it might be a good idea to reconsider vitamin D.
The first consideration is the many vital functions of the human metabolism in which vitamin D is involved. Vitamin D is essential to Calcium usage and is therefore necessary for healthy bones. It contributes to a healthy immune system. 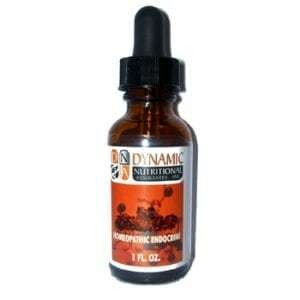 It is a powerful anti-oxidant and is known to function in blood pressure regulation. Vitamin D is also the only vitamin which is also a hormone. One last consideration is that all Vitamin D’s are not created equal. Vitamin D-3 (Cholecalciferol) is the most metabolic active of the species. 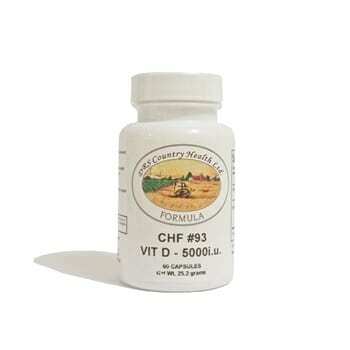 And this is what is found in Country Health Formula CHF #93 “VIT D”. If you have any of the problems listed above we suggest trying CHF #93. DESCRIPTION: Vitamin D may help maintain the immune system. INDICATIONS: Use CHF #93 when you want to maintain and/or boost your immune system. OTHER INGREDIENTS: Calcium carbonate, Magnesium Stearate, Gelatin (capsule). SUGGESTED USE: One capsule daily or as directed by a qualified health professional.